While one of the three initial TV exit polls suggested that Blue and White leader Benny Gantz had achieved a historic “upheaval,” and was set to unseat Prime Minister Benjamin Netanyahu after 10 straight years in office, the final results showed the opposite. Not only did the Likud leader win the seats and support he needs to lead the next coalition, he also received a number of other electoral gifts. While Likud and Blue and White received 35 Knesset seats apiece, the right-wing bloc made up mainly of the current coalition members is comfortably ahead with 65 to 55 seats as final votes are counted. But Likud’s success came at the expense not just of Netanyahu’s chief rival Gantz but also of several right-wing parties he will be delighted to weaken, even as he needs some of them to form a coalition. For days, Netanyahu and other Likud campaigners had pushed the message that the party could be headed for a loss to Gantz’s Blue and White. 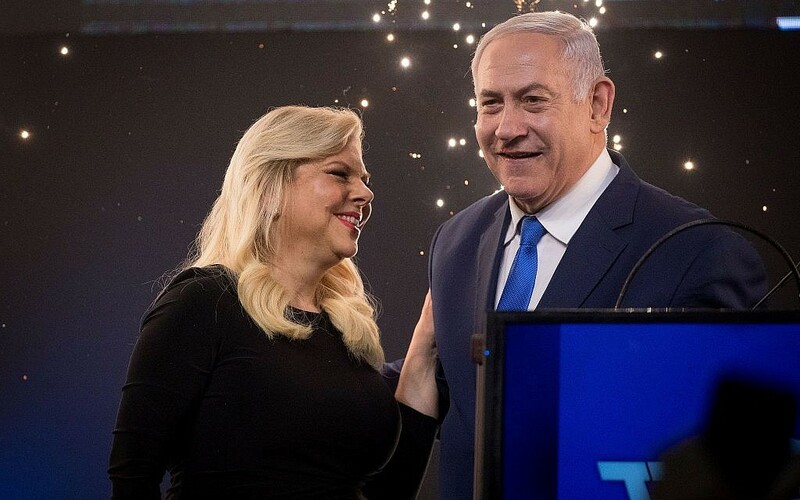 Some surmised that the so-called “gevalt” campaign was an alarmist ploy meant to siphon off votes from other right-wing parties and push Likud voters to the polling stations, while others genuinely feared that the prime minister’s decade in power could come to an end. The only parties other than Likud to increase their vote share were the ultra-Orthodox Shas and United Torah Judaism, which rose from six and seven seats respectively to eight apiece. If Netanyahu can forge a strong alliance with Shas and UTJ, potentially by promising them control over religion and state issues, his smaller right-wing allies could be almost neutralized within the coalition, certainly in comparison to the now mighty Likud. 2. Should Labor’s Gabbay learn from Netanyahu? Of all the parties that lost seats and relative Knesset power, none compares to Labor. The party that governed Israel for the first three decades crashed from the 24 seats it won as part of the Zionist Union in the 2015 elections to just six, the worst showing in its 71-year history. 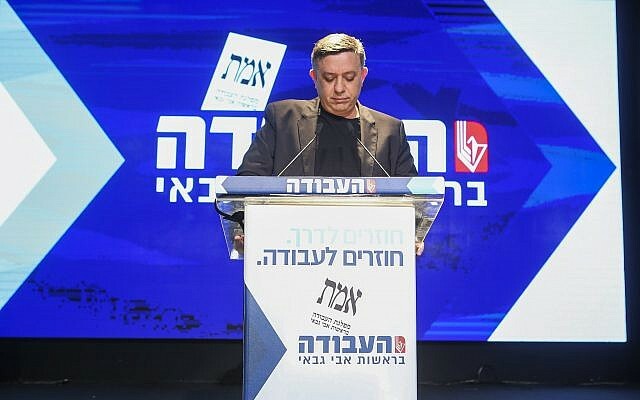 Given Labor’s history of turning on its leaders after election failures, party chairman Avi Gabbay is all but certain to face a similar fate to his 13 predecessors since 1992 — if not immediately, then some time very soon. For the moment, though, the former Kulanu minister is ignoring the mostly anonymous calls to step down, blaming the bad result on the Blue and White party pilfering a significant portion of Labor’s base. He’s right. Labor ran a pitiful campaign made up of mixed and extremely confusing messages, hitting out at Likud and Blue and White from both the right and the left, while failing to present a coherent message of why voters should stick with it. But Gabbay didn’t cause the 18-seat collapse (even with his unpopular on-air dismissal of party number two Tzipi Livni, which broke up the Zionist Union). Gantz did. Gabbay’s failure was in his inability to claw back any of the lost ground. If there is any hope for him, and indeed for Labor, it could come by taking inspiration from none other than Netanyahu. In the 2006 elections, the Likud leader also led his party to its worst-ever result — dropping from a whopping 38 seats to just 12. He, too, was blamed for leading a weak campaign, and faced calls to resign. But, as with Gabbay, it wasn’t entirely Netanyahu’s fault. He was facing a newly formed centrist faction that swept the political map along with many Likud voters, founded by a decorated former IDF general (namely, Ariel Sharon and his Kadima party). Sound familiar? Despite the crushing and personally embarrassing loss for Netanyahu, just three years later he won 27 seats and the premiership, which he still holds a decade later. Gabbay is no Netanyahu, and the Likud of 2006 is not the Labor party of 2019. But there might yet be hope for the once venerable party that founded Israel, and even for its beleaguered leader. The most bizarrely accurate prediction of Netanyahu’s election strategy came in a Kan report published on Sunday night, which said the prime minister was not only confident he could win both the most seats and a majority right-wing bloc, but that he specifically wanted to push out one of his current coalition partners. New Right’s fall from grace — apparently dropping below the electoral threshold while other parties that had polled lower during the campaign sailed into parliament to maintain the right-wing majority — was therefore either an incredible coincidence or an absolutely astonishing political machination pulled off perfectly by Netanyahu. 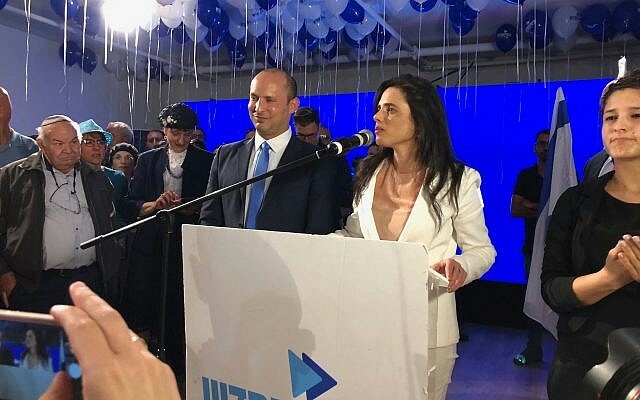 Breaking away from the religious-Zionist Jewish Home at the start of the campaign to form the New Right party together with Ayelet Shaked, Bennett said that he hoped to strengthen the right-wing bloc by bringing in more — and more diverse — voters. In a backhanded compliment, he also said that he hoped to strengthen Netanyahu by becoming a significant political force that could push him rightwards, even while backing him as prime minister. Instead of strengthening either, he hardened both. With the Jewish Home suddenly facing a wipeout, Netanyahu masterminded a complicated plan to form a united slate of right-wing parties that included the extremist Otzma Yehudit faction. And newly appointed Jewish Home leader Rafi Peretz was forced to accept hardline National Union leader Bezalel Smotrich as his number two. Bennett is certainly no leftist, but he starts to look a little like one next to the Union of Right Wing Parties’ Kahanist element. 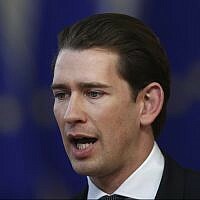 Nearly every party leader promised throughout the campaign that theirs would be “the surprise of the elections.” In the last month of the campaign, the most convincing claim to the title came from Moshe Feiglin’s Zehut — a quasi-libertarian ultra-nationalist party centered around the dogmatic philosophy of its ideologue leader. Initially failing to pass the electoral threshold in those polls that even agreed to include it, the party saw an apparent surge in support over its promise to legalize cannabis. Supporters seemed unperturbed by either Zehut’s libertarian economic positions or Feiglin’s radical and religiously motivated security policy, which specifically called for annexing the West Bank, dismantling the Palestinian Authority, encouraging the Palestinians to leave, and putting government facilities atop the Temple Mount. The party also aimed to throw coalition calculations into surprise disarray, by not committing to back either Netanyahu or Gantz. 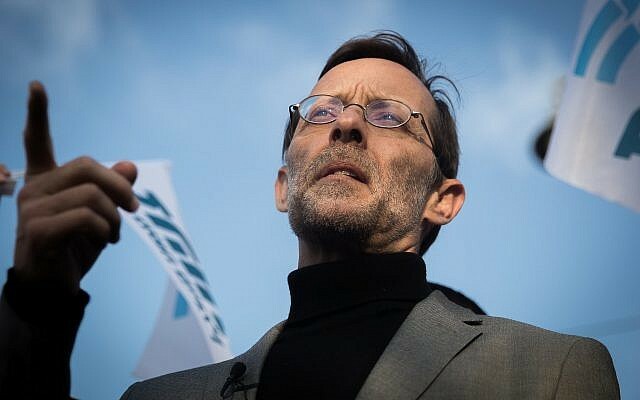 And polling at 5-7 seats in final surveys days before the election, Feiglin said he would demand that he or someone else in his party be appointed to the coveted position of finance minister. On March 17, 2015, the last election day, Netanyahu, citing his fear of losing the election to Isaac Herzog’s Zionist Union, infamously warned of Arabs “coming out in droves” to the voting booths, being “bused in by the Left.” He later apologized for this incendiary claim, which was lashed as racist by the Israeli left and around the world. In the current election campaign, the prime minister again invoked the Arab Israeli bogeyman, stating repeatedly that an Arab-backed left-wing government would spell disaster for Israel. And the polls had been open for just a few hours on Tuesday when it emerged that activists affiliated with Likud had brought some 1,200 hidden cameras to polling stations in Arab towns in what the party said was an attempt to prevent election fraud (and the justice overseeing the elections ruled was a breach of election law). The breakup of the Joint List, a united party of the four main Arab Israeli factions that split into two dueling parties for these elections, no doubt contributed to the lowest turnout among Arab Israeli voters in years, and overall loss of three seats for the Arab sector this time. But many cited a feeling that, regardless of the inter-party politics, their votes didn’t matter. Israel’s Arab citizens make up some 20 percent of the general population, but in Israeli politics they are usually portrayed as villains, with their opposition to a Zionist state seen as beyond the pale. 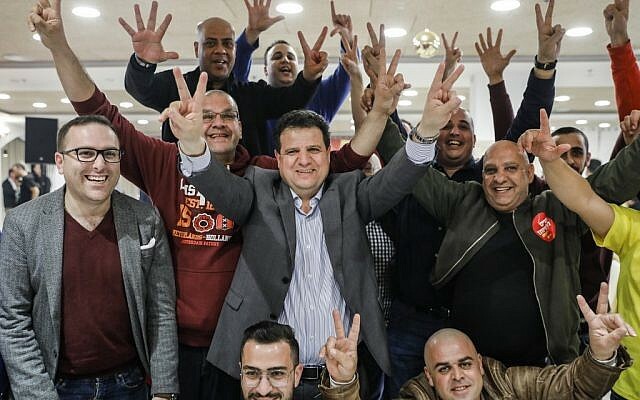 As a result, no Arab party has ever been part of a government coalition, and in that tradition virtually every mainstream party running in Tuesday’s race preemptively ruled out a partnership with them — including Blue and White. The poor performance by the Arab parties, combined with weak showings by center-left Labor and left-wing Meretz, effectively ended Blue and White’s prospects of forming a coalition, and improved Netanyahu’s, giving more Knesset seats to Likud’s right-wing and ultra-Orthodox allies. For the center-left to have a realistic chance of winning elections in today’s Israel, it might need to embrace at least some of the Arab parties as real partners, and not just complain about the injustices facing the Arab sector. Politically, such a partnership could potentially match the right’s de facto support from ultra-Orthodox parties (some of whose members and voters also, incidentally, oppose the notion of a Zionist state). After all, that longstanding right-wing-ultra-Orthodox alliance, in these elections, as in many before, all but guarantees the right an easier path to forming a coalition. On the other hand, some Arab MKs and ex-MKs have been fiercely and actively opposed to Israel’s foundational principles (which is not the case with the ultra-Orthodox politicians). So any such alliance would have to be very carefully considered, or it would end further reducing, rather than boosting, the appeal of the center-left.